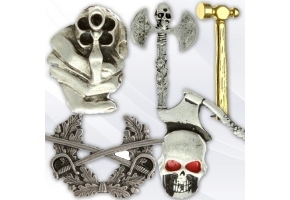 The Brass Knuckles pin is actually made of pewter and is silver plated. 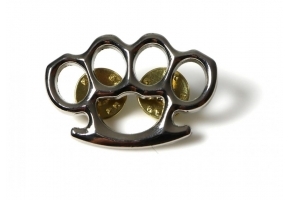 Attach the knuckles pin to your clothing with two nail backings and standard clutches. 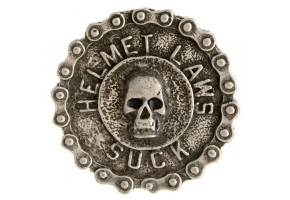 The pin measures about 1x1.5 inches in size. It is made in the USA.